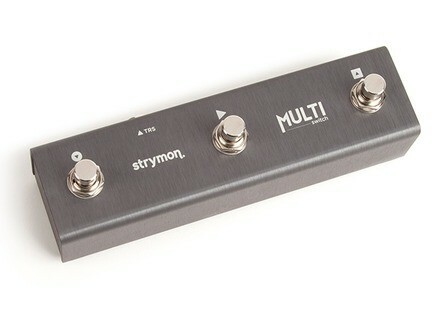 Strymon offers users of its Mobius, TimeLine et BigSky effect pedals the MultiSwitch 3-button footswitch. With the TimeLine, you can unlock three additional Reverse, Half-Speed and Undo/Redo features for the Looper. In 3-button mode, you can control the recording/overdub, playback and stop. Press long the Tap switch on the TimeLine and you’ll access the three additional functions mentioned above. With the three pedals, you can access three more modes: Bank allows you to explore the preset banks with the right and left switches, the center switch helps you browse through a cycle of presets within the selected bank. In Preset mode, the right and left buttons are used for navigation which the center one selects/bypasses the selected preset. Last, in Tap mode, use the right and left buttons to browse the saved presets and the one in the center to set the tempo for the delay and modulation effects. 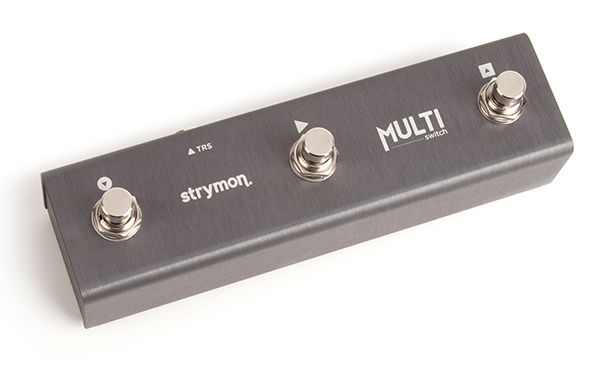 The MultiSwitch has an anodized aluminum chassis and does not require any external power supply. It is designed and built in the USA. The 65Amps Colour Bender is out If you liked the Tone Bender Professional MKII fuzz pedal, you can now discover the 65Amps version, the Colour Bender.